Psychic Powers and Abilities: Guide to Psychic Visions, Attacks & More! “The more you know, the less you fear,” said the author Julian Barnes. When you want to avoid psychic scams, this really good advice! Learning about the different kinds of psychic powers and abilities, and how they really work, is super important. It is the key to protecting yourself from fake psychics, bad psychics, or going to the wrong psychic for what you need. There are many different kinds of psychic abilities and many psychics have more than one type of ability! This can make things confusing when you are trying to find the perfect psychic for you. Follow this guide and you’ll be a pro in no time! 1 What are psychic powers actually? 2 So, what are the major intuitive abilities? 4 What are psychic attacks and are they dangerous? 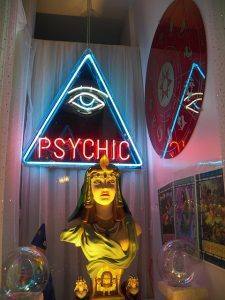 5 What are the most common psychic scams? And you might even discover or unleash some of your own psychic abilities that you never knew you had! What are psychic powers actually? The most common kind of psychics are the ‘clairs.’ These intuitive abilities can be grouped into four common types: clairvoyance, clairsentience, clairaudience and claircognizance. All of them involve a psychic receiving messages through extrasensory perception. 5. They smell something around them. And somebody who was sitting next to them would see or hear the same thing. But psychics can receive messages directly into their minds through their intuition. They might see something with their eyes closed, or hear something that nobody else can hear. Or they might receive a message simply by feeling a certain emotion without anything in the physical world causing it. So, what are the major intuitive abilities? 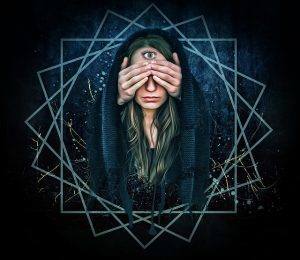 Clairvoyance is one of the most well known psychic abilities and literally means ‘clear sight.’ Psychics with clairvoyance can see things beyond the physical world like spirits, auras, and visions. This can also include the ability to see into the past or the future. Messages often come as symbols or colors, but the common trait is they are visual. 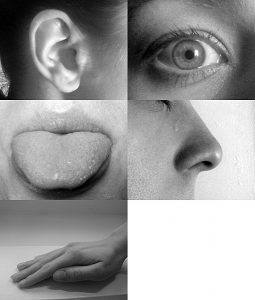 Clairsentience, or ‘clear feeling’ is similar to clairvoyance but is based on feelings. Instead of receiving visual messages, a psychic with clairsentience can feel the past, present or future emotions of a person. They can literally feel your feelings, and usually do this by reading your energies, auras or by channeling your emotions. It is like empathy in an extreme form! People who are clairsentient often feel flooded by other people’s feelings, and can feel drained after being around people a lot. It makes them great listeners because they really “go there with you.” But they can also literally feel other people’s pain, so sometimes they need to limit the amount of time they spend around others. Clairaudience – you guessed it, ‘clear hearing,’ is like that little voice inside of your head that tells you to “watch out” or “look here.” Psychics with clairaudient abilities can hear voices, sounds, and even music, that other people cannot hear. So, if spirits are around you trying to say something, it is likely that a person with this gift will be able to hear them! Claircognizance is when a psychic can suddenly know things that they have no reason to know. 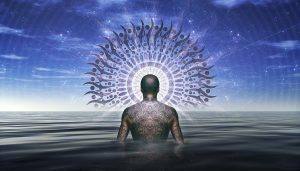 The message will come to the psychic’s mind as a fact, something that they just intuitively know to be true. Someone might have a strong feeling that it is not safe to board a flight, or that someone in their proximity is not safe. This can happen without any signals or clues. Most of us have some of these abilities at least a little bit, but true psychics have developed these skills to an extreme ability that can help you make decisions and protect yourself from toxic situations. Other types of psychic abilities include astral projection, automatic writing, mediumship, and divination, to name but a few. Astral projection is when a person can willfully step their soul outside of their physical body, and travel to places their body cannot. It is similar to an Out of Body Experience, except that it is voluntary and controlled. Automatic writing is when a psychic receives messages through the process of writing. They may go into a trance as their pen moves across the paper, channeling information from a spirit or from the collective unconscious. Mediumship is when a psychic acts as a channel, to share communications from the other side. They have an ability to see which spirits surround a person, and can receive and understand their messages, and then relay them to the person they are intended for. Divination is a very well known psychic ability that involves gathering evidence from the spiritual world, such as energetic forces and energies, and then using that information to interpret what is happening in the physical world. 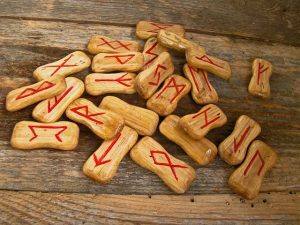 Divination practices include tarot readings, rune readings, Ouija boards, pendulums and other tools. In each case, the psychic uses their psychic abilities along with their preferred tools to gather information to help advise us about what is happening around us. What are psychic attacks and are they dangerous? Psychic attacks are defined as intentional negative energies sent at you, which invade your aura. Sounds terrible, right? 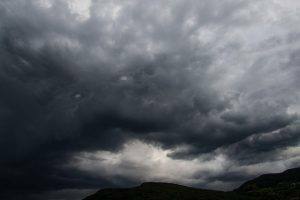 There certainly are dark energies out there and spirits who do not wish you well, but these attacks are probably much more rare than one would think. Regardless, it important to know what they are. Here are seven commons signs of a psychic attack. If you feel any of these symptoms, be sure to seek proper medical attention first. Many of these symptoms can be the result of depression, hypothyroidism, anxiety or other medical conditions. If your medical exams leave you in the clear, perhaps a rare psychic attack has occurred. 1. Exhaustion followed by deep sleep: being subjected to a psychic attack can leave us feeling completely drained. This is not the usual kind of tired you might feel at the end of the day, but a feeling of being depleted. 2. Suddenly questioning your sanity for no apparent reason: psychic attacks introduce foreign ideas into our psyche. These thoughts may be so foreign that we cannot fathom where they came from and might lead us to question our sanity. 3. Terrifying dreams of being attacked: being smothered, choked or otherwise attacked in your sleep. Often these experiences happen in between a state of sleep and being awake. It can be a terrifying experience, so it is important to know how to protect yourself. 4. Feeling like you’re being hypnotized unwillingly: feeling like someone is controlling you against your will, causing trance-like feelings or dizziness. 5. Extreme fears that are sudden and unrealistic: extreme fears that are sudden and new, like being afraid to leave the house for days at a time. 7. Feelings of not being able to control movements or thoughts: any time you feel like you are suddenly not in control of your own body and thoughts. Keep in mind that there are many things you can do to protect the positive energy around you! It is important to learn to protect your own energy. This can be done by surrounding yourself with white light in meditation and focusing on positive emotions. Negative emotions attract negativity, so the first step is to channel your core energy to connect with the positive frequencies. There are also things like crystals that can protect you by absorbing or repelling negative energies, which will leave your aura free from negativity. It is also important to cleanse your environment by burning white sage or copal. Additionally, you can use bath salts to deeply cleanse your body and spirit. Stones like black tourmaline will absorb negativity and keep your aura clean. Remember to cleanse your stones energetically as well! There are many things that we can do to protect ourselves from negative energies. Most importantly, you have to remember that you are in charge of your aura. The negative energies can only enter your aura if you let them. The best defense is to remain strong, positive and connected to the white light. And remember, we all have spirit guides that support us and guide us through life! It is important to remember that fake psychics or bad psychics may try to use fear tactics in order to make you feel like you need their help to survive. If you have experienced a psychic attack, you will know it immediately, and you wouldn’t need a strange psychic to point it out. Psychic attacks are very rare. Real psychics don’t need to ask you too many detailed questions and their job is not to make you feel worse, but to help you feel enlightened and on the right path. Any psychic who tries to scare you with stories of hexes or psychic attacks might just be more interested in money than in actual psychic abilities. Two of the most common psychic scams are ‘cold readings’ and ‘Hot readings.’ Cold readings are done by fake psychics pretending to have psychic abilities. They simply analyze your body language and make assumptions based on your gender, race, disposition and other observable characteristics that you might have. Then they tell you what they think you want to hear. The second, ‘hot readings,’ slyly ask you all kinds of leading questions before even beginning the reading. If you accidentally tell them that you just lost your mother or had a serious break-up, they already know what to talk about in the reading. There are also many other warning signs to look out for. Here is a list of typical psychic scams or psychic frauds that should send you running the other way! Telling you that you have curses or spells placed on you that can only be removed by them. This includes evil entities surrounding you, closed chakras, past lives tormenting you or karmic retribution. The key is that they tell you that you need someone else to help you. Telling you that they can reunite you with loved ones. Telling you that you are in serious danger and that something terrible will happen to you or a loved one if you don’t do what they say (and pay them more money). 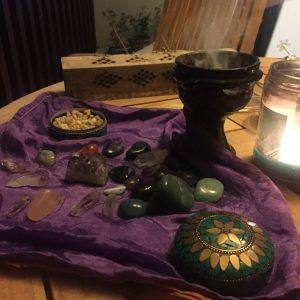 Selling magical or anointed items like oils, candles or herbs to use for your ‘treatment” in addition to your psychic reading. Typically a true psychic doesn’t need to sell goods on the side! Offering to perform weird rituals involving eggs, tying knots, or showing you blood in water. And all of these rituals cost extra. When they tell you that you have to keep seeing them regularly because the bad spirits are still around you. This is a bad sign. Accepting payment only through wire transfer, cash or check. If you are unsatisfied or discover that they are a fraud, it is nearly impossible to get your money back. There are some really important best practices for avoiding bad psychics. First, be sure you find your psychic from a reputable source. Don’t walk into the shop on the corner with the flashing neon pink sign! The best way to find a true psychic is by word of mouth. If you have a friend or acquaintance that has had a positive experience with someone, that is a great place to start. If you don’t have any referrals, try checking in your local New Age store. 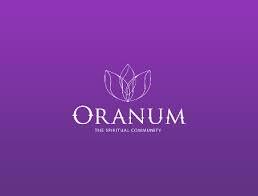 These kinds of venues often have partnerships with their favorite psychic advisors or are practicing psychics themselves. If owners and customers can vouch for someone’s abilities, you are probably in good hands! If you don’t have access to referrals or a New Age store, there are many online options available to you. 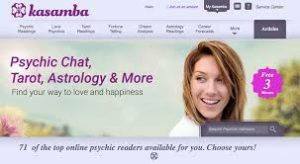 Many online psychic websites have been around for many years, and have a long collection of reviews from clients! And now that you have your guide of psychic abilities, you can read the bios of the psychics you are interested in and make sure that they are offering the exact services that you want! Another important step is taking your psychic advisor for a test run! When you decide to buy a car, you definitely try a few different ones out, sit inside them, and drive them around the block a few times. Well, when you are looking for advice on the most important decisions in your life, it’s important that you choose an advisor based on positive, real experiences! Many reputable websites offer special introductory offers to help you do just that. Here is our list of trusted partners!